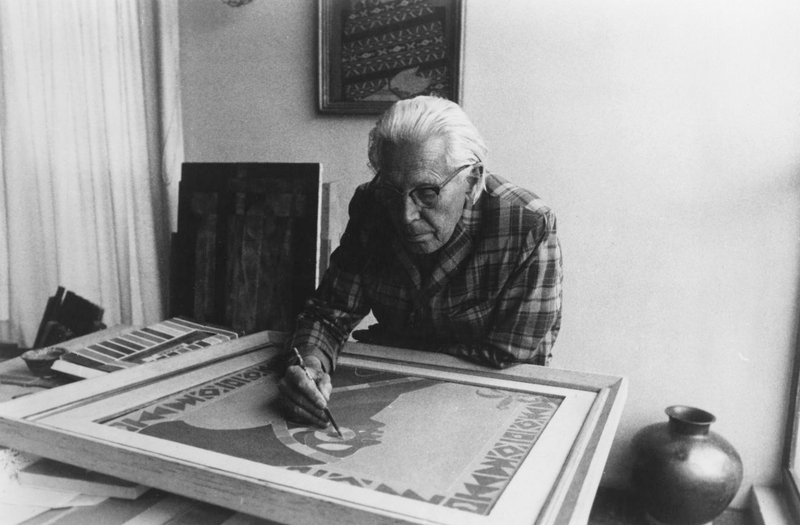 Carlos Mérida working on the mural design in his Mexico City studio, 1960's. 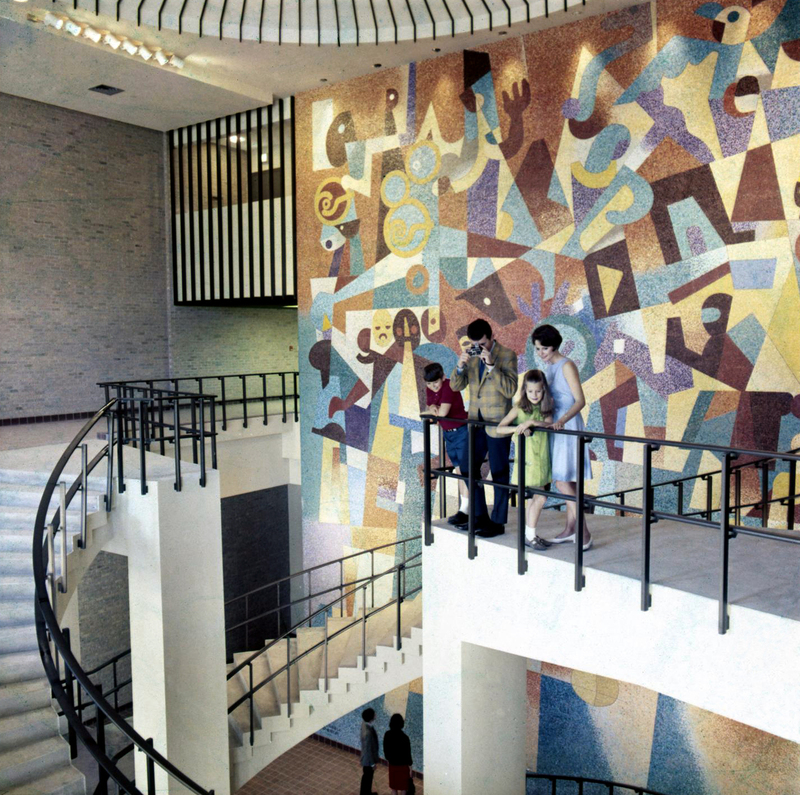 Guatemalan artist Carlos Mérida (1891-1984) designed this Venetian glass mosaic mural for the San Antonio (Texas) civic center, which was built for the city's 1968 "HemisFair." 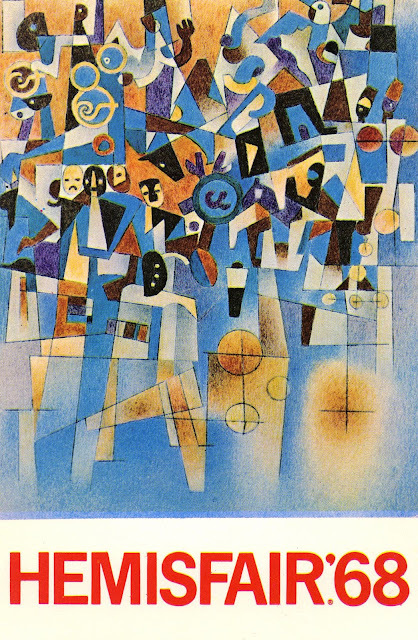 The design, created in Mérida's classic geometric style, sought to capture the exhibition's theme, the "Confluence of Civilizations in the Americas." 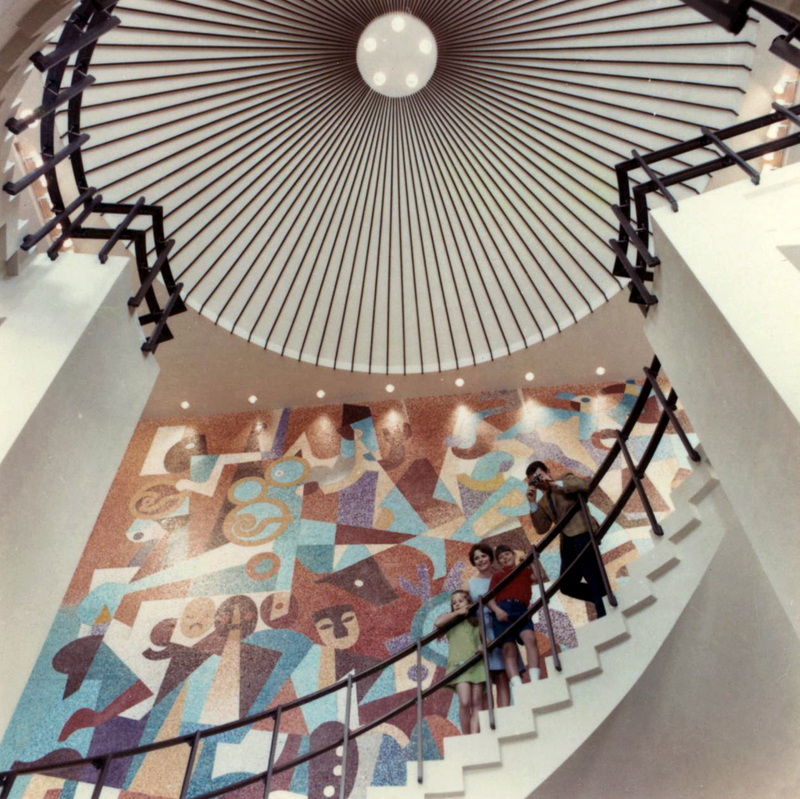 The city of San Antonio, Texas held the 1968 "HemisFair" as a way to celebrate the city's 250th anniversary and boost the city's dwindling economy. The event, which drew the participation of 30 some nations, was held from April 6th through October 6th 1968.